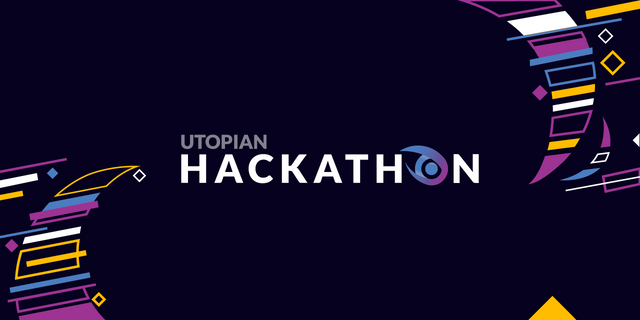 As some know, the Utopian Hackathon was / is running this week. We took the chance and implemented a STEEM To File Upload. 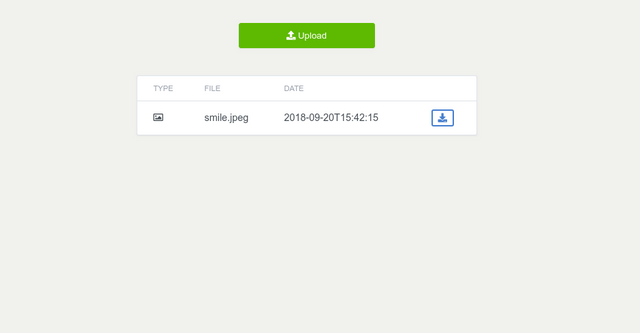 STEEM To File Upload is the first real file upload client for the STEEM Blockchain. The "app" was developed by us (@dehenne and @mordark). 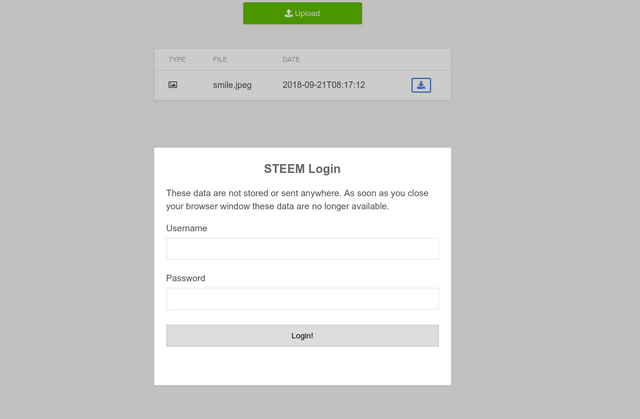 It is now possible to load files into the STEEM blockchain and download them again. The files are not only as a link in the blockchain, this time the file data are complete in the STEEM Blockchain. The procedure is actually quite simple, but the trick is in the detail. Because the processes are a bit bigger, we marked the places where the magic happens behind each step. At the moment we have not thought about a roadmap but since this app was cut together under time pressure some functions are missing which guarantee a correct use. In the next days / weeks these will be integrated. Holy cow, we learned a lot. Because the source code is completely free, we hope others can learn from it as well. We are looking forward to further ideas, issues or fixes. Since the app isn't really available online yet, here are two screenshots of what it looks like. Please ping me when you have a working version of this running somewhere :) I was looking for something like this for a long time now! at the moment it uses the test net. ... if I have it online correctly, I will let you know it. Regarding the app field in post JSON, there is a convention with the current app ecosystem it should be used with a version attached to the string. (Ex: stfu-app/0.0.1). I upvoted your contribution because to my mind your post is at least 10 SBD worth and should receive 84 votes. It's now up to the lovely Steemit community to make this come true. Wow, this is super cool. Is the amount you can upload determined by your bandwidth? Is it really slow to upload? Wow, this is super cool. Is the amount you can upload determined by your bandwidth? Is it really slow to upload? which means the whole thing gets faster. Next week, i'm trying to provide a browser plugin and a look for a place for a dApp. So everybody can use it. Ooh, do comments have a size limit? Nice one! Maybe consider using now.sh to serve the static contents. That will be really really cool.